By coincidence, I reached the ‘In Autistic Space’ chapter of Steve Silberman’s New York Times bestselling, excellent, but often harrowing autism history book NeuroTribes on the morning November the 1st, Autistics Speaking Day. I’d just finished chapters detailing the pathologization of autistic people’s interests and social behaviours, the abusive origins of ABA and how the early US autism parents movement was derailed from its initial aim of services and acceptance by pseudo-scientific promises of cures and scare stories about causes. So it came as a relief to read about the development of the early online autistic community and in person autistic spaces, of ANI and the first Autreat, and of the birth of the neurodiversity movement. It was a timely reminder of the importance of autistic people, regardless of where we are on the spectrum, having a voice to counter the stigma and the stereotypes spread by cure-focused charities, autism ‘experts’ focused on a deficit model and the mainstream media outlets that often amplify these messages. Thankfully NeuroTribes is full of profiles of and perspectives from autistic people, and its positive message has been getting widespread media coverage, countering many myths and putting the call for services and acceptance back on the agenda. The other thing I was doing today was working on the 4th episode of Autistic Flappy Hour, the podcast I co-host along with two other autistic adults, Laurine, who initially suggested the idea on the #autchat Twitter chat, and Cisco, who is one of the founding moderators of #autchat. There are some challenges in producing a regular hour-long podcast when everyone involved is autistic and busy with many other things. We originally aimed to produce our episodes every 2 weeks, but this quickly proved to be impractical given the amount of preparation and editing required and we’re now aiming to be monthly, although not always succeeding. In order to make the process of recording accessible to all of us, we write out at least 80% of what we’re going to say in advance using online collaborative document sharing with multiple revisions as we each add comments based on the others’ responses. Even with a script and lots of preparation, during recording we may ramble, misspeak and repeat, or need to stop for breaks or to ask questions. Some of us tend towards saying too much and others tend towards being extremely concise, so balancing how much we each speak can be a challenge. When I’m moderating, I often lose track of the need to be brief and go off on elaborate tangents. All this means that editing involves more work that many podcasts do, and I also have the tendency to be over-perfectionist resulting in even greater editing time. Early on we made the decision never to release episodes unless we had a full transcript available, because this is an important accessibility aid for any audio-based medium but especially important for a podcast aimed at autistic people, given how many of us have trouble with audio processing. Transcription does sometimes cause additional delays to our release schedule, but we’ve worked out a process to do this in parallel with the editing, and the tendency to script out most of what we’re going to say in advance usually makes thing a little easier. I think Laurine does an amazing job. All in all, it’s a lot of work, but I think the amount of effort we put in and the different ways we’ve found to make podcasting work have resulted in some very strong episodes. We’ve been getting some positive feedback from people who have found it useful and affirming, including saying how great a feeling it is to hear other people talking about being different in the same way you are. The establishment of Autistic-run media is vitally important to our community. Kudos to @quarridors @AskCisco @laurinegrmo for doing this. Happy Autistics Speaking Day everyone! My tweets from the 2nd of April 2015 hoping to raise awareness of how to include and support autistic people. Collected for easy reading using my Storify account. Air travel is something that happens to me infrequently enough to not be ‘second nature’ or ever become truly familiar. I currently travel overseas every other February, with the gap of two years being enough that I forget some of the procedure and most of the details. I’m prone to being late to everything and to getting extremely upset if I miss travel connections even within my own country, and that’s without the non-refundable expense and vastly increased administration requirements (visas, insurance, multiple connecting forms of transport etc). As such, I’ve come up with a great deal of strategies to compensate for my usual travel challenges, which generally involve an excessive degree of pre-planning and contingency planning. It seemed useful to share these strategies with others. 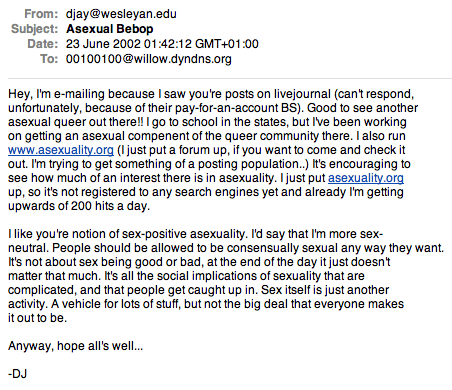 I originally wrote this post in one sitting of several hyperfocused hours in response to this excellent post by Alyssa at Yes, That Too. I’ve long meant to develop all of my blog-post-length comments on other people’s blogs into posts here, but never got around to it. Right now I’m in the ‘obsessively checking everything’ stage of preparing to fly to Los Angeles for a Doctor Who convention in a week’s time, so proof reading this post became a productive use of my time, and reassures me that I really have thought of everything. If you have access requirements for seating, such as needing a window seat to avoid airsickness (as I do) or an aisle seat to not feel trapped, or a seat with a space next to you if being accidentally touched by others is uncomfortable, you can increase the likelihood of meeting these by travelling at an off peak time, such as in the middle of the night on a week day. These flights are often cheaper. I find the flight relatively comfortable but the time in the airports very stressful so I tend to try to save on flights by booking at ‘inconvenient’ times when the airport is likely to be less busy and put the savings here into avoiding having to change flights mid-journey (something that I find extremely stressful). I also aim to spend extra to have flexible ‘open’ train tickets for airport travel so that’s one less thing to stress about on the way there and home (I’ve melted down or had panic attacks around missing exact train times enough times to know it’s worth the expense) – unfortunately this time it was something like three times more expensive to do that so I haven’t. This is especially useful when travelling home at the end of your journey as arrival time and time to get through customs can vary hugely. However I’ve been told by the ticket office assistant that if I get a letter from the airline saying that my flight was delayed, I can use this at the station ticket office to get my advance ticket changed to a later time. Be sure to account for the travel to and from the airport when choosing the time of day for your flight. If public transport doesn’t run at certain times of the day or night, and you’re travelling from a long way away (as I am), you may have to limit yourself to afternoon or evening flights. Another option is to book a hotel relatively near the airport for the night before your flight. Be wary of how early you might need to travel as this can put you into expensive ‘peak time’ commuter rate tickets on a week day. Since publishing this article a friend has reminded me that coaches (long distance busses) run directly to Heathrow airport terminals without the need to change coach or cross London. I usually discount the existence of coaches because I’ve been known to get extremely motion sick on them, I find them uncomfortable and the journey times tend to be longer, but I’ve verified that I could have got a direct open return coach ticket the Heathrow for slightly less than I paid for my train journey with set travel times there and back. This might have been the lower stress option (you do seem to have to use the telephone to get yourself onto the coach home though). If possible plan to give yourself extra time for check in, customs and check out when planning travel to and from the airport. For international travel, the recommendation is usually arriving at the airport with 3 hours to spare. Allow more time if there are several connections in your domestic journey. Work out the transport option you’re likely to take when you arrive (such as a taxi, hire car or shuttle bus to the hotel), note down all the details. Book in advance if possible. Use something like Google Maps to take a visual tour of the route to and from each airport and wherever you’re staying so it’s somewhat familiar when you travel. Don’t book your flights unless you have a passport valid for the travel dates, or you are certain you have time to apply for and receive one (going to the passport office in person can help with this, as can paying an extra fee). I also take a colour copy of my passport ID page with me, should my passport itself get lost, and keep this away from my passport. After booking your flight, you’ll also need to ensure you have the required visa or visa waiver. If you’re travelling between European Union countries (or other such countries with open travel agreements, this may not be necessary but do check). When travelling to America you can pay for the required ESTA visa waiver online. Make sure that you have travel insurance. This may come as a free perk, for example with your bank account, or cheaply as an additional option when booking your flight. Be very certain if you’re travelling to the USA that this is explicitly covered, as this is often excluded or comes at higher charge. If you have any pre-existing medical conditions that you’ve been treated for in the last two years or have had recent surgery or medical treatment, the terms and conditions of basic travel insurance probably don’t cover you. Do not travel to America without being certain you are actually covered for medical emergencies. Not having valid medical cover in the USA could cost you several times the cost of your flight. In my case I have asthma, which is enough to triple the price of travel insurance. I used a travel insurance company specifically aimed at travellers with pre-existing medical conditions. Signing up for this required me to list all my medical conditions that are currently undergoing some form of treatment, with Asperger Syndrome (and Autism Spectrum Disorder) being on the list of recognised conditions (I am still being seen by my local adult autism service, albeit only every 6 months now, so it met the criteria). When I disclosed Asperger’s I was additional asked several questions about anxiety. If you experience either of these and haven’t disclosed them to the insurance company, your travel insurance may not be valid. Be sure to buy travel money in advance, don’t use the exchange kiosks at the airport, this will have a poor rate and likely charge commission. I was able to order travel money delivered to my door (or nearest branch) next day through my bank’s online banking system. I used to also buy a number of travellers cheques to convert into cash as I ran out during my trip. Some hotels will convert travellers cheques to cash without charging and with just your passport as ID, but this is becoming increasingly rare and cashing travellers cheques can be very difficult. Be very wary of your home credit cards and especially debit cards as these may charge a lot for overseas use, including foreign currency fees for every transaction, additional fees for ATM use, poor exchange rates and even outright blocks on overseas use. Be sure to research this in advance. Inform your bank if you’re likely to use your card overseas as they may suspect this is due to identity theft and stop the card. Have a back up payment option as in my experience even informing the bank may not stop their automated system from stopping your card when used overseas. Make sure you have the phone number to call if your card is blocked, lost or stolen when overseas. I researched and found my savings account could come with a credit card with no fees for overseas use. I also ordered a pre-paid dollar currency card with extremely good exchange rates (that can be topped up online, by an app or by SMS) and topped this up to use instead of travellers cheques (and as backup to the credit card). As this has a better rate, I intend to use it to pay the hotel at the end of my stay – be aware though, you must authorise with a different non-pre-pay credit card. Having a check in authorisation on a pre-paid card will put a huge pending charge on the card that will put you over your limit and take weeks to clear. If in doubt, check with the hotel that you can pay with a different card than the one you authorised with. Pre-paid cards often have relatively large minimum top up amounts and may have a delay in reporting transactions on the card balance monitoring app/site. As such you should be cautious about accidentally going over your balance by a small amount and having to put another big top up on to pay this off. My strategy is to use the card only for extracting cash from ATMs when needed, and to top up the day before checking out to reach the full hotel bill amount, so there’s no worries over using what’s left on the card. I think this approach will make it easier to keep track of whether the balance is up to date without straining my limited executive function and mental arithmetic skills, and also work around potential delays in the card balance app being up to date. Be sure to research the expectations of how tipping works in the country you’re visiting and ensure you carry cash so you can tip when needed. Work out contingency plans for things that might go wrong, including who to contact in an emergency. And make sure that this person knows all about your journey in advance so they’re not surprised should they be called upon. If going abroad, work out roaming charges for your mobile phone including SMS/text charges so you at least have the ability to contact someone in an emergency. However turn off excessively expensive data roaming in advance (and turn off mobile data entirely as soon as you’re on the plane there). It’s usually cheaper to get a local pay as you go SIM card when you arrive, or get one shipped to you in advance of departure, or to use WiFi especially if you’ll mostly be in a location where WiFi is free. I tend to use WiFi at the event for most things, with SMS on my UK mobile phone for updating Twitter and receiving mentions and direct messages while I’m away from WiFi reception (whether SMS integration is available depends on your mobile phone network. Twitter SMS notifications can be set to only come in certain hours of the day, you may need to change these settings when overseas). If you’re visibly transgender or gender nonconforming (as I am), it might make sense to have a letter with you explaining this. I have also had success getting gender markers removed from boarding passes (very useful as I tend to be read as a different gender depending on if I’m calm or anxious). It may be possible to get a plan of the airport terminals you’ll be in and mark where the airline check in and airport security likely are. If you need an accessible or gender neutral toilet, you may be able to work out where these are in advance. If, like me, you’re too uncoordinated for wheeled luggage and/or have hypotonic arm muscles or other impairments that make pulling or carrying anything for any distance difficult, get luggage that’s a knapsack that converts into a suitcase and a smaller backpack. Do up all the straps tight – this helps. It may be the case that wearing the smaller backpack on your front (like a backpack but facing forwards) rather than zipped onto the back may be more stable and comfortable, or may be a good way to make things more comfortable after you’ve got too tired of everything on your back. Find a trolley for your luggage as soon as you arrive at the airport, or ask a member of staff for assistance. I use the smaller backpack as carry on luggage for the flight and the knapsack with all the straps zipped away as my checked luggage. I put items that I want to transfer from my knapsack into my carry on backpack into an easily identified plastic bag so I can access them easily once the baggage separation and conversion is complete (doing this frees up more space in the backpack). I also have a smaller over the shoulder camera bag that I use as my gender neutral handbag (purse to Americans) containing my wallet (cards, coins, train tickets etc), ID and various essentials like lip-balm, earplugs, a mirror and a pen. This doesn’t get counted towards carry on limits. If you use your small personal bag or your carry on luggage for every day use, be sure to take everything out before you pack, and make sure you’re not carrying anything that isn’t allowed through airport security – including scissors, blades, and liquids and gels bigger than a hand sanitiser bottle. Put anything prohibited from carry on luggage that you’ll actually need into your checked luggage instead. Leave things you won’t use at home. I generally take the run up to an overseas trip as my cue to clear out the huge amount of junk that tends to accumulate in all of my bags. Take at least a week’s supply of all your medications (and a copy of your prescriptions, or a doctor’s note) with you in your carry on luggage, and pack several spares in your checked luggage. Take a light change of clothes and travel toiletries with you in your carry on luggage in case your luggage is sent to the wrong airport or delays mean you have an extended wait without your luggage. In your checked luggage, be sure to pack clothing appropriate for the weather where you’ll be staying. If it’s going to be sunny then pack sunscreen, sunglasses (if you’re me you carry these all year around anyway) and swimming gear. If it’ll be cold then back coats, gloves, scarf and if necessary a thermal layer. If you have unusual dietary requirements, your hotel may be able to give you a room with a fridge on request. You might want to pack a travel plate, bowl and cutlery if that’s the case. Bring your own toiletries as much as is practical – I’ve had bad experiences with things like hand sanitiser bought in the US that absolutely stank of perfume in a way that no British brand ever would. A tip for emergency medical supplies – pack electrolyte powder sachets in case you get food poisoning or something similar and need to replenish lost water and body salts. These make me feel so much better after I’ve been ill, which is especially important if it happens while you’re on your own in a hotel room. Make a list of everything you need to pack. If you use an app for your lists, you can then save this and use it again the next time you travel. Take an itinerary with you and a ‘cheat sheet’ with all your emergency contact numbers on it including lost or stolen card numbers and the claims line for your travel insurance. I also document where I’m staying, all the booking reference numbers, local transport details and the charges for my various credit cards and overseas usage of my mobile phone on here. Put copies in your checked luggage, in your hand luggage and on your person. Make sure someone you trust at home and, if possible, someone you trust at your destination also has a copy of your itinerary. You should put luggage labels giving your name, your flight and your destination (hotel) address on your checked bags. I also put copies of these inside my checked bag and my carry on bags, in case the external tag gets ripped off and any of the bags get separated from me. I have a USB charging battery that works with my phone and camera and will recharge them several times over (it has roughly the same size and dimensions as the phone). This is extremely useful for keeping devices charged during a long flight. Be sure that this is charged up and that all the required charging cables are in your hand luggage. I also have noise cancelling headphones that make noisy situations, including those with regular background noise far more manageable with my sensory issues (I have a separate diagnosis of sensory modulation disorder). Buy additional batteries and ensure that they’re all charged. Take the cable and/or adapters needed to plug these headphones into the airline entertainment system. I’ve bought a travel adapter that coverts power sockets to two USB ports, a UK plug to foreign plug adapter kit and now a spare battery and travel charger for my camera. Be sure to pack everything you need to keep your devices charged while you’re away. Bring some form of entertainment that doesn’t require an Internet connection with you for both the waiting time at the airport and the flight itself (in case the in flight entertainment system doesn’t work). Ideally also bring something that won’t require any power at all, in case you’re stranded for long enough that your phone and USB battery have lost charge by the time you’re on the plane (although you can usually sneakily find a power outlet in a restaurant in the airport departure lounge, or if you have access to an airline lounge, power may be provided). Checking in online can often be done 24 hours in advance of flight time (check your airline’s website) and allows you a much greater chance of booking a seat that meets your access requirements, and less immediate stressful socialising to do once arriving at the airport. I usually need 15 to 20 minutes to calm down enough to be coherent once I’ve arrived, which isn’t a problem when I’ve already checked in from home. Some airlines allow you to book the seat a week or more in advance of the check in window. Setting an alarm to remind you of this is likely to be helpful. Once you’ve done this then your seat is confirmed, your boarding pass is printed (make sure you have access to a working printer first!) and all you have to do on arrival is hand over your checked luggage and go through security. If you have dietary requirements, you may need to book your airline meal in advance. In my experience, doing so means that you’ll get your meal before everyone else, which may be a better sensory experience (or less awkward if you’re an uncoordinated eater and sitting next to someone else). You may also be able to look at the airline entertainment options in advance so you don’t have to make decisions while stressed, however don’t rely on the entertainment system working reliably and do bring a back up or three. Once at the airport, even if it’s not yet time to go to check in, to security, customs or to your gate, work out where these are and the route that you’ll have to take when it is time. If your prospective memory is as poor as mine, set alarms to remind you to check notices and make a to-do list of steps you’re meant to go through. Try to stay in sight of displays/notices/boards that you need to check, and especially set reminders if you have to move away from them. When checking bags, explain your access needs around seating and double check that your dietary requirements have been recorded. If you’re disclosing a non-apparent disability, it may help to bring documentation to support this (I have no direct experience of this as I haven’t chosen to disclose a label, rather asked ‘I have trouble with X, is it possible to Y?’ type questions and got all the help I needed). If there’s anything you’re unsure of and couldn’t find out from the website, ask it now. It might be helpful to make notes (perhaps on a mobile phone) and/or summarise what you think you need to do next to allow the check in assistant to confirm that your understanding is correct before you leave the desk (this is my standard strategy when dealing with spoken instructions – it helps pick up receptive language problems and also slows things down to help with processing speed and makes me think about the instructions in a different way, so I’m more likely to take them in and remember them – you also end up with notes). You may find that it’s possible to be among the first or last people to board the plane if you would find this less stressful. There’s no harm in asking even if they say this isn’t possible – if this is really important then this would be a good reason to disclose your disability/label/diagnosis so the Equality Act’s ‘reasonably adjustments’ will apply). It may be the case that you won’t be able to have some of your access needs met so prepare yourself for this eventuality. I have personally found that if access arrangements are agreed and then don’t happen, this is worse than if I had no expectations for help, so I tend to be somewhat conservative in choosing when to ask for formal disability accommodations. Before going through security, finish any drinks you’re carrying as any liquids over a small travel size will be thrown away by security (better to do this yourself before going in). While you can’t take a drink through security, you can take an empty bottle to refill on the plane so rather than throw out your drinks bottle, finish it up and put the empty in your bag. Anything containing liquids and gels has to be put in a 20cm/8″ square clear bag (that should be provided) and carried in your hand, do this as early as you can, if possible put all your liquid and gels into one of these as part of your packing to be certain that they all fit and prepare for security in advance. Be prepared to put all your belongings on to the security scanner and also to take off your shoes and belt. Wear trousers that will stay up without a belt. Keys, coins and smartphones have to go on to the scanner belt too (you could put smaller items into your bag before going in to make this easier). You should be provided with trays to put your items in. As Alyssa’s blog post suggested, take spare socks in your carry on luggage if having walked on the airport floor in socks will cause problems. I personally found some of the instructions from security personnel unclear (not understanding instructions is a common problem for me), but I tried hard to come across as compliant. I tended to ask questions that mirrored their instructions like ‘I should put it in here and then put that on there?’ or ‘Am I doing this right?’. See more in the ‘Social strategies’ section at the end. There will likely be a long period after checking your bags and going through security when you won’t be able to go to your gate yet and will have to entertain yourself in the duty free lounge or restaurants. Be sure to set regular alarms to check for a gate number or boarding being open if you’re sitting away from displays (for example in a restaurant, airline lounge for an airline you’re not travelling with, or an out of the way location where you could recharge your mobile phone). Set an alarm 30 minutes before your flight is due to depart to ensure that you don’t miss boarding (I have come perilously close to doing this before, despite all my other planning – my executive function, working and prospective memories, and perception of time are poor). Befriending someone else taking the same journey with you can be helpful should something go wrong. I realise that this isn’t an easy thing to do and is usually something I only manage on the flight home after a large event. Having another person with you can also be a source of stress if they don’t respect the way you need to do things to feel secure. You might discover that your bank account, credit card, breakdown cover, travel insurance or similar service actually gives you free access to an airline’s private waiting lounge at the airport. If this is the case then I very strongly recommend taking advantage of this perk as they’ll provide quiet comfortable space with free food and WiFi until your flight is ready. Sitting close to these lounges may allow you to access the free WiFi without having access to the lounge. Tell the flight crew if you have any seating or other access requirements. It may be helpful to have a letter explaining these requirements in case you’re too stressed or anxious to explain. If you’re prone to air sickness ask for sick bags and tissues in advance of takeoff and landing, especially if you haven’t been able to get a window seat. If you’ve been able to book a flight at an off peak time and not all the seats are filled, you may be able to move to a different seat once the plane has taken off. In my experience you’ll be asked to sit in your reserved seat for takeoff but may be allowed to take to any seat you like once the seatbelt lights are off, as long as you ask permission and then tell the flight attendants where you changed to. I’ve been on empty enough flights that I was allowed to take an entire empty row of seats and lie down horizontally across them. Your feet are likely to swell up on the plane which is uncomfortable if you have shoes or socks on. I’d recommend taking off your shoes and bringing a pair of loose socks to change into once you’ve taken off and settled into your seat. A neck support pillow can help you sleep in your chair. This may otherwise be difficult, especially if you’re not used to sleeping on your back. Work out which of the toilets are least frequently used should you need one in an emergency. Some planes have water fountains and cups in the middle of the economy section, if you bring an empty bottle on board you can also refill it here. Schedule breaks to get up and walk around, this can help with cramp and avoiding deep vein thrombosis (if you’re in a high risk group take support stocking with you and also wear these), and also stop you from feeling too squirmy, uncomfortable and restless in your seat. Walking around on tip toes and doing stretches out of your seat seem to be acceptable full body stimming (proprioceptive feedback) for a plane – they’re recommended for avoiding DVT. Putting your carry on luggage on your lap could give some of the effects of a weighted blanked too. I’ve also found hugging my bag to be calming when I’m stressed. How other people treat you varies hugely depending on how you’re perceived. I’m an autistic, white British, employed, younger-looking-than-I-am, usually articulate, androgynous but ‘blending in’ trans* person with no visibly apparent disabilities, generally taken to be a middle class student (even though I’m a 34 year old IT professional) who is likeable if ‘neurotic’ under stress. I tend to attempt to be non-confrontational, friendly and slightly apologetic when I talk to people who are just doing their jobs, and I’m even more cautious when they’re in positions of power over me. I try to smile at people, do positive small talk and make light hearted comments whenever someone’s being nice to me (although around airport security I just do what I’m told and only ask questions when I don’t understand). I can’t usually predict how strangers will gender (or age) me, especially based on first impressions, so I have several strategies around avoiding problems with this. I’m more likely to respond to aggressive or dismissive reactions or unpleasant treatment with crying rather than aggression. People’s negative reactions to me are generally finding me slightly ridiculous, annoying or neurotic, or being upset for some reason, or simply ‘over compensating’ once discovering how old I am (or, at airports, unfortunately on seeing the gender marker I’m forced to have on my passport). If you have a history of people responding to your attempts to be friendly and compliant with suspicion or aggression, you might need different social strategies to me. Given all the above disclaimers, I’ve found that it’s best to find someone who works for the airline or who looks friendly when I’m lost of have a problem. This usually results in friendly attempts to help, even when they ultimately can’t do anything constructive. I’ve had very few negative experiences from doing this, but I try to prepare myself for getting them. I’ve only had one unpleasant, upsetting airport security experience with body scanners and the operators disagreeing over my gender when travelling (leaving LAX), I was lucky to have someone I’d met at the convention I was coming from with me at this point or I would’ve struggled to calm myself down afterwards. I’ve otherwise not had problems and actually weirdly found the tight lower leg and arm pat downs oddly pleasant. I’m more likely to get upset during local public transport journeys than for international air travel, as I over prepare to the extreme for weeks or months in advance for the latter. Prepare for everything, give yourself lots of time. Write to-do lists of everything you need and set reminder alarms for all critical steps during travel such as online registration, leaving for travel, checking for boarding being open etc. Document everything you might need, including card and passport numbers and your full itinerary, addresses and details of any connecting transport, and carry copies of these in all your bags. Ask for help when needed, but whenever possible talk to representatives of your airline or the airport rather than airport security. Pack your hand luggage as if you might be without your checked bag(s) for several days. Especially include any medications you might need. Yesterday I attended the Nottingham Café Scientifique talk “Thinking about Neurodevelopmental conditions in adulthood” given by Dr Jo Jones, Psychologist based at the NHS Nottingham City Asperger Service aka NCAS. I live tweeted the event and then later developed these tweets into a more detailed report using the free service Storify. As NCAS is the service where I was diagnosed and where I’ve been seeing various specialists for over a year (although not Jo), and as the talk was very interesting and very much within the ‘autistic spectrum and its overlaps’ remit of this site. I thought I’d share the summary I made here. It’s easily as long and taken as much work as a typical blog post. When you first meet me, you might not think that I’m autistic. I’m probably not the stereotype the that average person would think of when imagining an autistic person or someone who’s been diagnosed with Asperger Syndrome. I know this because since I started disclosing to casual friends and new people, I’ve received several variations on disbelief including “I would never have known”, “You don’t seem autistic to me”, “You aren’t like any people with Asperger’s I know” and “I obviously don’t understand what autism is”. (Although people who’ve lived with or worked closely with me have instead said that “This explains a lot”, “makes sense” or that trait lists “describe you perfectly”). Most media depictions are a simplification or focus on children, textbook definitions don’t account for growing up and developing coping strategies, and people tend to generalise the traits of the small sample of autistic people they’ve met into an idea about all of us. By definition, stereotypes are simplistic and limiting while the autistic spectrum is diverse and varied. I also know that I don’t fit many of the stereotypes for Asperger Syndrome because for the first ten years of my adult life, I had the recurring experience of hearing or reading someone talking about what it was like to be autistic and finding myself relating incredibly strongly to some new aspect of it. Each time this happened I’d go into an intense period of research, hoping again that this would explain how I was different. Every time I would ultimately abandon the idea having found some other rigid explanation of what having Asperger’s was like that I wasn’t able to reconcile myself with. It was something different each time. First it was how people with Asperger’s didn’t care about the feelings of others then, after I discounted that, how they were monotonous, overly formal or spoke with a flat affect. Then when I came across exceptions to that, how they were extremely shy or socially avoidant, then how they were highly organised, following rigid routines, then how they lacked imagination and creativity, or only read non-fiction and disliked the theatre. It was only through learning that the DSM-5 would be removing the distinction between Asperger’s and autism, that I instead researched autism as a whole. And by doing that I started to see myself reflected. After learning that the consensus was now that having had a speech delay or not made no meaningful difference to the person in adulthood, I was able to read older materials about ‘High Functioning Autism’, and from there newer articles about ‘atypical’ and non-stereotypical Asperger’s, including alternative ‘types’ such as “Hidden Autistics” and newly developed stereotypes for how Asperger’s presented in women and girls. The more perspectives on the autistic spectrum I read, the more alternative lists of traits I came across and the more theory I understood, the more I recognised as fitting me. I now see the old stereotypes as corresponding with a subset of the spectrum, but also as corresponding with only some of the possible coping mechanisms for growing up with social impairments while still being verbally able. Ones that are likely to be more common if you’re socialised as male, but which are by no means the only response. And ones that have previously been disproportionally selected for during autism assessments (or at least, other presentations were selected against). As for how I come across on first impressions in casual social situations? Well obviously I’ve never had a first impression of myself or interacted with myself from the outside. But I have had a lot of conversations about my social interactions; first while I was trying to explore if I was autistic, and then later when trying to adjust to and disclose my diagnosis. How I come across to others has been discussed in some detail. So then, assuming I’m not sensory overloaded or fearing for my safety, I tend to be humorous, animated and enthusiastic. Possibly over-expressive, definitely with way more gesticulation that is usual. If you smile at me I’ll probably smile back and I’ll probably laugh at your jokes even if I don’t always get them, because I have the habit of mirroring other people’s positive emotions. In fact I find it difficult to stop myself from smiling when I’m happy or other people are happy. If you seem to value eye contact, then I’ll probably mirror this (although possibly in a slightly awkward way), if you don’t seem to be looking at me, I’ll happily look at something else while I talk. I may even start to pick up your vocal mannerisms and accent, although this isn’t intentional. If the environment is safe and comfortable, I tend to be energised by social interactions (which is some people’s definition of extraversion). In fact before I recognised this and learnt to moderate myself better, I often used to become extremely over-enthusiastic in new situations and would come across as manic or, as a friend once said, ‘completely freaking out’. When I’m talking I tend to lace everything with humour (although not necessarily humour that I expect anyone but me to notice or enjoy) and may grin or laugh at my own jokes. Because I use so much humour, people often assume that I’m joking or being intentionally silly when I’m not, which can allow them to overlook signs that I’m failing to understand them or respond appropriately. If I take something literally then people often assume that this is a joke, this is compounded by the fact that almost all my humour is connected to the absurd literal meanings of words (unless it’s sci-fi references and personal in jokes). I have a habit of forgetting to greet people because I’m so excited by seeing them, or distracted by something they’re wearing, holding, saying or doing. Sometimes I remember that I forgot to do this and do so twenty minutes into the conversation. I’m told that this has the same jarring effect as suddenly getting the opening credits to a TV show several scenes into the episode. I’m talkative and likely to be the one doing the most talking, usually about whatever I’m interested in at the moment. My favourite type of interaction is probably closer to a lecture than a conversation, but I do try to remember to talk only half the time. I’m unfortunately really bad at telling if people are bored and not so great at remembering to ask them, and I’m also not good at telling if people are humouring me or genuinely interested, and if people ask me a really exciting question I might tend to forget all the rules. I also tend to be verbose, not know which parts of an explanation to leave out and go off on long rambling tangents about barely related side topics. Then later jump back to the original topic exactly where I left off, often disorienting the listener. However, I’ve had enough people genuinely beg me to keep talking about what I was talking about, and invitations to give talks and run workshops, to know that you may not ever realise that I have these problem because you were actually engaged by and interested in what I was saying and actually wanted me to talk ‘at’ you for hours. (Especially given that I try to pick my social outlets so they’re likely to be full of people who share my interests and passions). The pitch and volume of my voice tend to go all over the place depending on who I’m talking to, what I’m talking about and whether I’ve just been singing. My vocal quality is closer to ‘sing-song’ than monotone. I tend not to notice if I’m speaking too loudly or if my voice has suddenly changed pitch. If I’m excited about something I may talk too quickly. This results in most people seeing me as very animated and expressive. I’m also easily distracted by, notice and comment on other people’s conversations or the background music, and have a bad habit of managing to distract myself with something I’ve just said. If I realise that I’ve made a mistake or think of something new, I tend to immediately comment on it, even when doing so is inappropriate or distracting. That isn’t intentional ‘quirkiness’; I have poor impulse control and generally tend to say whatever comes into my mind. If I’m in a situation where it’s important to control my impulses then I tend to put a lot of effort into filtering myself and so finding this extremely tiring, so if I’m comfortable and in verbal mode then I’m probably unfiltered. However this does mean that on the small number of occasions where I got extremely drunk, I was still able to control myself and behave as if I was sober when it became necessary to do so. I’m fidgety and tend to be in motion, but I’ve learned to limit this to inconspicuous motion unless I’m tired, at which point I may begin to squirm. However if I’m talking, my hands will probably be gesturing a lot. If I’m in a situation where I’m required to do something physical like dance, stand on one leg, jump up and down, swim in a pool or bounce on something (as long as the sensory environment is comfortable and it doesn’t hurt) I’ll probably look pretty strange but end up infectiously gleeful and giggly. Although I can be quite cynical and pedantic, I can also be surprisingly childish and joyful in an entirely unselfconscious way. I may absentmindedly sing, dance or skip in public. Although my writing tends to come across as formal and my written tone seems to be taken as very serious, in person I’m faintly ridiculous. In general people who’ve met me in environments where I’m comfortable, tend to report that I made a positive first impression on them. They use words like ‘intelligent’, ‘interesting’, ‘articulate’, ‘expressive’, ‘warm’, ‘funny’, ‘quirky’ and ‘likeable’. They also report assuming that I’m socially capable and comfortable because of this, even if I can seem pretty unconventional. Of course the people I’ve got this feedback from are the ones who’ve got on well enough with me to be having those conversations, so they may be overly skewed towards the positive, but that also means they’ll tend to be people who communicate in honest and direct ways because that’s who I tend to be compatible with. 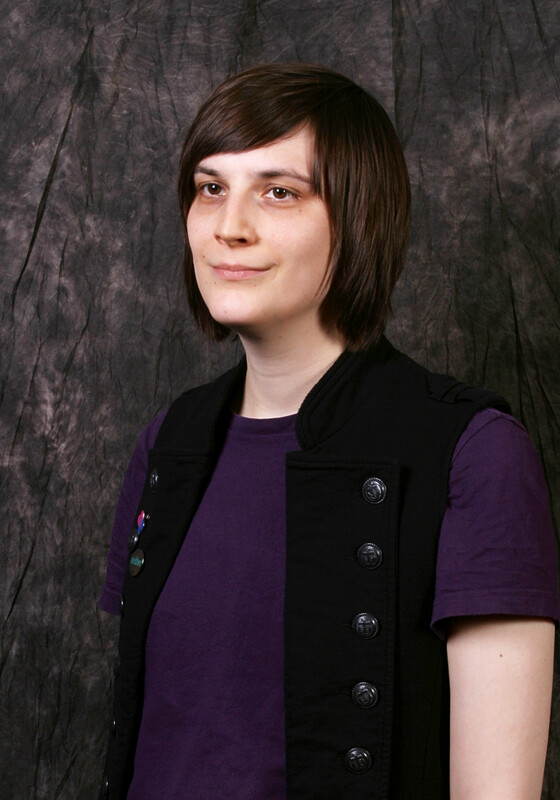 If you’d like to judge my ‘first impressions’ for yourself, here’s a video I made two years ago talking about androgynous voices and here’s me giving a talk about asexuality at the WorldPride Asexual Conference in 2012 (note though, someone else briefly introduces). Both of which I begin by introducing myself and talking a little about my history. Despite coming across to most people as socially confident and able on first impressions, or when I’m interacting in an environment where I’m comfortable and appreciated, the specialists who undertook my diagnostic assessment didn’t have any difficulty giving me a diagnosis of autism. It’s standard procedure at that service to have the two assessors discuss and analyse the assessment results in detail and report back on if they’re diagnosing or not in a follow up appointment weeks later. But in my case they were both confident enough to tell me I’d been diagnosed immediately. That summarises the issue well. I have learnt good surface social skills (and enough social confidence that my failings don’t matter) and I have very little social anxiety, but the more time you spend with me past a first impression or a casual social interaction, the more likely you are to realise that we’re not making deeper social connections. You might notice that I’m very often misunderstanding you or changing the subject back to something I’m more confident about. You may notice that I give ‘mixed signals’; seem to be socially reciprocating your interest but then seem to ‘go cold’. You may notice that I make ‘socially careless’ comments or don’t give the responses you’d expect. If we socialise somewhere that overloads my senses, you might wonder why I’m so much more withdrawn than usual or seem to have trouble thinking clearly or remembering the words for things. You may wonder why I make my excuses and leave early, or why I’m too tired to talk to you the next day. Ultimately you might give up on me, assuming I didn’t really like you or that I’m not worth the effort, or I might tell you I’m autistic which will either shock you or explain a lot, depending on how much time we’ve spent together outside of my ‘comfort zone’. You might never even get to know me. I have difficulty approaching people, especially if we haven’t been introduced or there isn’t a reason or ‘permission’ to be talking. 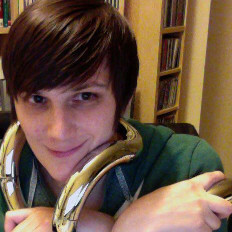 I also have difficulty recognising that people want to talk to me if they don’t show this in a direct way. When combined with the fact that I may seem socially able and confident enough to talk to anyone, this results in me only talking to assertive people who’ve approached me in a very direct way and then not been put off by my apparently carelessness. Disclosing doesn’t always help. Lipreading deaf or hard of hearing people who ‘sound hearing’ (due to having the higher pitched sibilant sounds in their speech) can find that people with otherwise good deaf awareness find it difficult to remember to keep their lips visible to them while speaking because they’ve associated this behaviour with deaf-sounding people. In the same way, my over-expressiveness and ‘active but odd’ outgoingness can mean that people who understand how to accommodate autistic traits may forget that they need to when talking to me. Most people’s stereotype of autism includes that the person is noticeably poor at socialising, this usually seems to mean that the person doesn’t seem confident, that they’re ‘rude’ or monotonous or boring. I’ve even had someone tell me when I was seeking assessment that I couldn’t be autistic because they found me too ‘warm and likeable’ – quite some prejudice there! Even people with good autism awareness tend to expect to be able to tell that the other person is autistic so that they can adjust. Making a ‘good first impression’ isn’t always positive if it means that people assume too much of you or attribute malice to your impairments and coping strategies. This said, I make very little effort to ‘pass’ as non-autistic. When I feel comfortable and safe my traits are very visible, if you know what to look for. I used to have negative coping strategies that made me socially withdrawn, repressed and constantly uncomfortable with who I was, but I’m lucky enough to have found a way to break out these while I was still in my teens and vowed never to ‘pass’ again long before I learned that I was autistic. All the things that I’ve said about myself above are clear autistic traits that would count towards a formal diagnosis. Even the positive traits that lead people to see me as expressive, enthusiastic, engaging and likeable. More autistic people than ever before are growing up having words for who they are and the understanding of the people around them. And more of us are talking openly about our experiences and are visible autistic faces to the world around us. 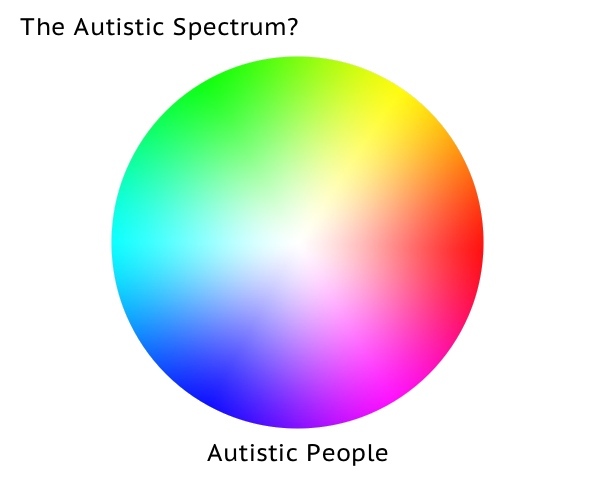 I hope that soon the public understanding of the autistic spectrum will widen and more happy, flappy, stimmy, enthusiastic archetypes of all genders will join the currently understood stereotypes.